Fresh breeze, stellar views, breathtaking serene landscapes, calm mind, and a happy soul; not your everyday kinda thing but wouldn’t it be great to experience it once in a while? For all the times you binge-watched series or stayed home on the weekends. For the times when you successfully ditched plans with your friend or family but ended up partying anyway. And for the times when you were the epitome of procrastination (Well, don’t be a sloth, there’s a reason they are famous). Don’t you ever wish you could have ventured into the unknown, maybe go on an adventure or something? Maybe had a chance at exploring exquisite places? Suit up, Soldier, for this is your call to heed and quench your thirst for nature trips. While you are at it, do plan and book ahead. Do check out our page for discounts on MakeMyTrip and save on your trip. For all the adventure junkies out there, the calm spirited souls and the people in between the two who would love to have a bit of fun; here’s your chance to plan a trek of a lifetime. Love nature trails, beautiful scenery, and unexpected greetings by small beings? It’s time to take you trekking in Bangalore and maybe even away from the city; the busy city which is known for its vibrant life, cultural diversity, delicious food and welcoming people. 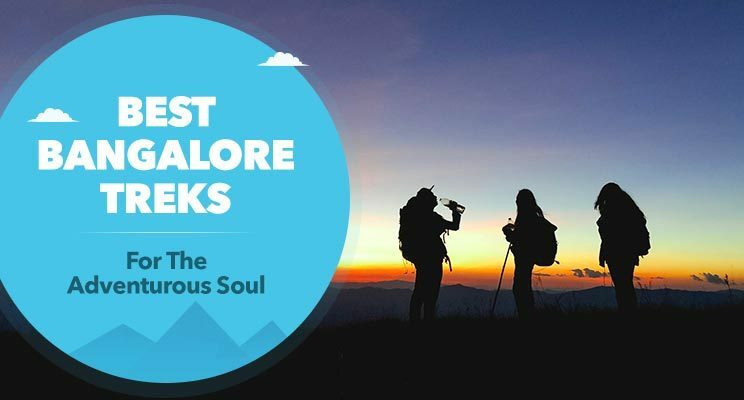 Be it a one day trek or an overnight stay, we have listed the most famous trekking spots in Bangalore. Kumara Parvatha happens to be one of the best places to visit near Bangalore within 300 km. 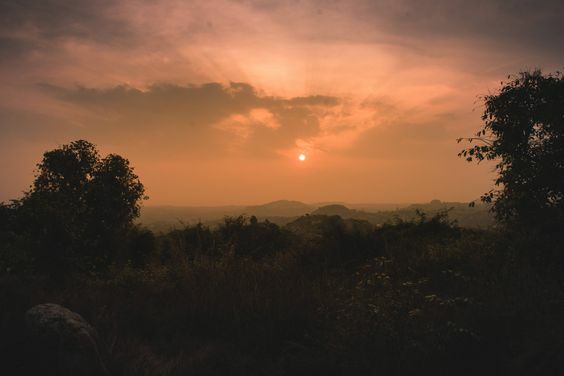 Situated at the edge of Dakshina Kannada and Coorg, this hill is nestled away amidst the lush green forest and is one of the highest peaks in Karnataka. One is indeed bound to be mesmerized by the valley of flowers, en route. This trek is a long and strenuous one, be prepared for challenges on your way but rest assured this will be all worth it. 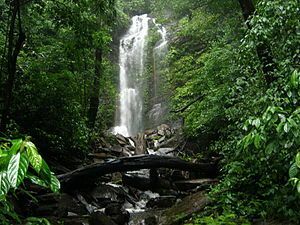 This place falls under the list of night trekking in Bangalore for you need two days for this trip. Itinerary, stay, travel and other options for Kumara Parvatha. Looking for a quick and impromptu getaway? Then Ramanagara is your best bet as it’s one of the places to visit near Bangalore within 100 km. They say unplanned trips are the best, it does hold true. The Ramanagara hill is a perfect spot for every adventure enthusiast. With pristine, less travelled routes to majestic hills, one can trek and go abseiling on the huge mountains. 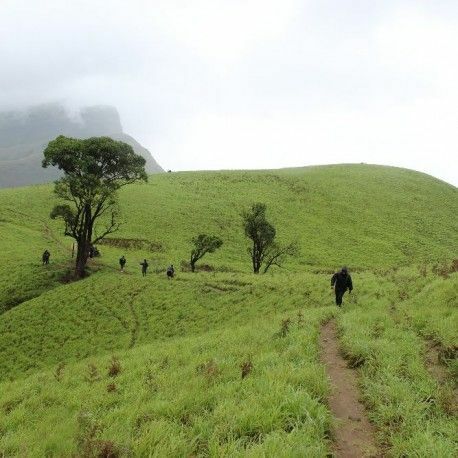 This place is known for having one of the best trekking camps in Bangalore. Trek Difficulty Level: Moderate but tricky. 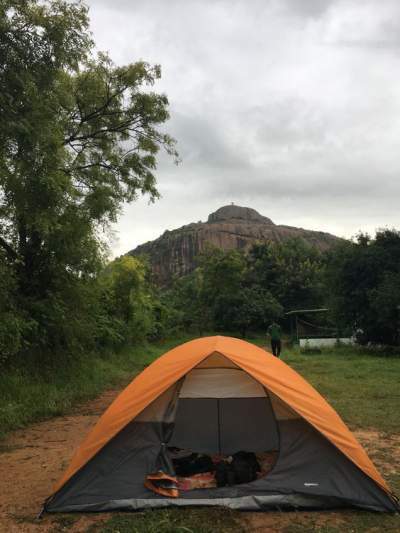 Itinerary, stay, travel and other options for Ramanagara. 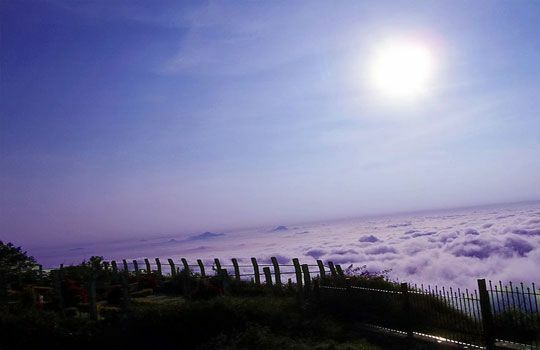 The famous Nandi Hills near Bangalore is an ideal weekend getaway place for one-day trekking. 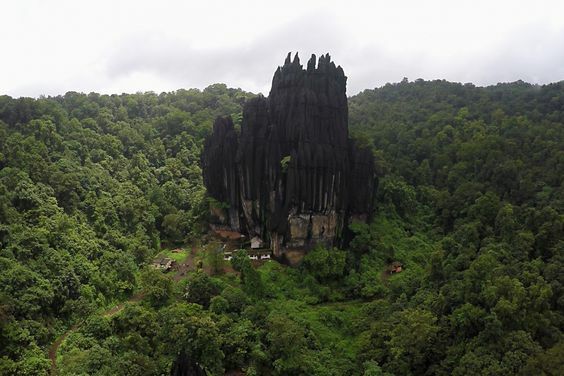 Unmatched beautiful views and challenging trails, this trek is indeed venturesome. 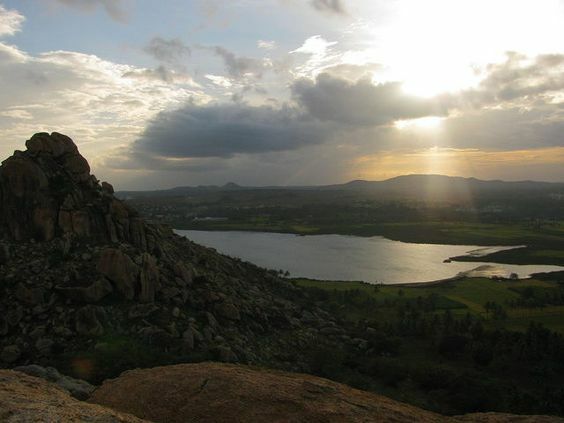 Nadi Hills is preferred and happens to be one of the favourite trekking spots in Bangalore. Note: Decent stamina for the trek is a challenging one. Sunrise, pretty views, a breath of fresh air, and a gush of an adrenaline rush; that is what you experience when in Kunti Betta. Being one of the best day trekking places in Bangalore, Kunti Betta has successfully managed to impress the thrill seekers. Witness an aura of positive energy, picture-perfect scenery, and calm surrounding. The Kunti Betta night trekking indeed does have a lot to offer, go ahead, plan and trek soon to this mesmerizing place. 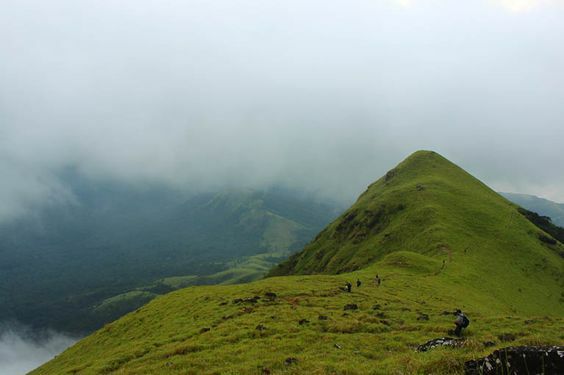 The Kodachadri summit boasts a graceful stretch of lush green forests, enveloped in peaceful surroundings. Wrapped with elegant beauty, this place is worth every visit. Less traversed forests, charming waterfalls, intriguing jungle trails, and scenic landscapes is what Kodachadri has in store for you. Nested within the core of the national park, this Natural Heritage has immaculate wildlife and biodiversity. 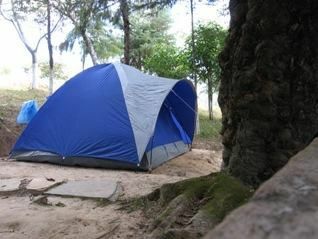 Trekking at night is a better option as you can camp in the heart of the forest. What a treat. Itinerary, stay, travel and other options for Kodachadri. Reckon that your trek list is complete? Well, not yet. Biligirirangan Hills definitely deserves a mention. 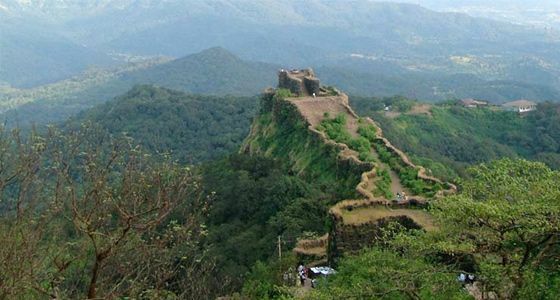 BR hills is one of the prominent tourist places near Bangalore within 200 Km. Tranquil surroundings, exquisite wildlife, and gushing rivers, there’s so much more to this place that you can’t miss. Adventure junkies, listen up, you can go river water rafting, camping, trekking and maybe even go on a jungle safari. A trek to Yana is much looked forward to. It’s better if you hit the road for this place as it will leave you awestruck. With a view to picturesque landscape on both sides and a long drive through the majestic western ghats forests, what more could you ask for? And other necessary essentials that you might need. 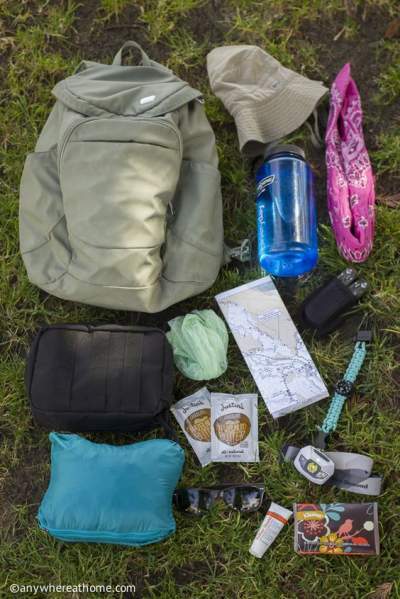 Final pointers, before you head away on your trek, do check if the place needs a forest permit. For night treks, we suggest you book your accommodation/ camp stay prior. For those who face a few health problems, do take necessary precaution. Nevertheless, wish you a wonderful trek. Well, don’t just sit there, pack up and trek away.